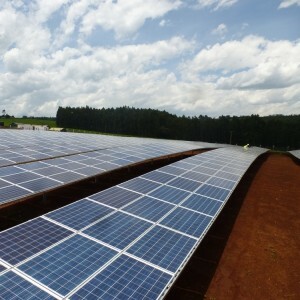 The Williamson Tea solar installation, located at its Changoi Tea Farm in Bomet County, Western Kenya, is claimed to be East Africa’s largest PV plant. The innovative solar system is designed to cut Williamson Tea’s energy costs by around 30%, supplying clean solar electricity during the daytime to meet most of the tea processing factory’s energy demand. Williamson Tea’s system aims to reduce the need for grid electricity and the consumption of diesel when back-up energy production is required. When the national grid is working, Williamson Tea’s solar farm will work in parallel with the grid and reduce the amount of grid electricity imported. Conversely, when the grid is down, the solar power system will work together with the standby diesel generators, significantly reducing the amount of diesel consumed. Solarcentury, which served as the lead designer, supplier and installer of the unique PV system, is also responsible for the operation and maintenance. Local solar companies East African Solar and Azimuth Power were the developers for Williamson Tea’s solar farm.